The allowability of taxes under Government contracts is regulated by FAR 31.205-41. The cost principle contains listings of allowable and unallowable taxes. Allowable taxes include federal, state, and local taxes (except Federal Income Tax) required to be and are paid or accrued in accordance with GAAP (Generally Accepted Accounting Principles). Fines and penalties are not considered taxes. Taxes in connection with financing, refinancing, refunding operations, or reorganizations. Taxes from which exemptions are available directly, or available based on an exemption afforded the Government, except when the contracting officer determines that the administrative burden incident to obtaining the exemption outweighs the corresponding benefits accruing to the Government (State Sales Tax is a good example). When partial exemption from a tax is attributable, taxes charged in excess of that amount resulting from application of the preferential treatment are unallowable. Special assessments on land that represent capital improvements. Taxes (including excises) on real or personal property, or on the value, use, possession or sale thereof, which is not used in connection with Government work. So, if you purchase land as an investment, you cannot claim the property taxes on that land. Also, see our update on this topic. Click Here. This is the third and final part of our brief overview of "reasonableness" as it pertains to employee compensation. In Part I, we discussed the regulatory requirements of FAR 31.205-6 and in Part II, we discussed the different levels of audit coverage for major and non-major Government contractors and why major contractors are expected to have robust compensation systems. You can read these posts here and here. Today we are going to conclude this series with some considerations for smaller contractors (non-major contractors). As we noted before, contractors always have an affirmative duty to ensure the reasonableness of their compensation levels. Government contractors need to have some level of certainty that the compensation levels used in pricing and for claiming reimbursement under cost-type contracts is reasonable. And, there are a number of ways to support reasonableness, depending upon circumstances. Significant Commercial Work. There is a presumption of reasonableness when a contractor has a significant amount of commercial and/or fixed price work. The theory is that market forces will keep salaries and wages in line with other firms in the area, industry, and similar sized. Just don't deviate from those practices on your Government contract(s). Employee Turnover. Excessive employee turnover can indicate that pay scales are low relative to the competition. Conversely, low turnover might suggest that salaries and wages are too high. Of course, there are many other economic and internal factors that contribute to turnover levels but the Government might look at employee turnover as an indicator of compensation reasonableness. You should be prepared to answer the question if asked. Surveys. External pay surveys provide detailed data regarding market pay levels for specific jobs and are used extensively to establish benchmarks for comparative purposes. There are several sources of surveys available to contractors - published surveys that are available for the general public to purchase regardless of participation in the survey, private surveys based upon data from survey company clientele and which only participants may purchase, contractor self-conducted surveys, and a variety of free Internet surveys. The Government does not like the Internet data because of valid concerns over the accuracy of the data. It may not be statistically valid and some of the information provided could be self-serving. The pay surveys tend to be expensive and not cost effective for small companies to purchase. That leaves self-conducted surveys as the primary source of benchmarking for small companies. There have been stories that certain Government offices have been coercing small contractors to purchase expensive survey data. You need to be aware however that there is no regulatory requirement for contractors to purchase salary survey data and salary survey data is not the only method of determining reasonableness. Use of Historical Data for Pricing. A common estimating technique is to base future costs on historical data, adjusted for inflation, learning curves, and other factors. Using historical data, when appropriate, will avoid having to justify individual wages and salaries. There is a significant subjective element to determining reasonableness. The Government recognizes this and allows 10 percent over a benchmark amount before asking contractors for additional justification. They also take into account offsets. For example, if base salary seems excessive but the contractor does not contribute to a 401k plan for example, the reduced fringe benefit will offset the higher base salary. The best defense against a Government challenge is to have your own solid basis for determining reasonableness prepared beforehand. This is the second of three parts on helping Government contractors determine the reasonableness of employee compensation. Yesterday, we discussed FAR requirements and its definitions for compensation "reasonableness". If you missed that, you can read it here. Today, we look at guidance that the Government has issued for its auditors tasked with reviewing compensation reasonableness. The Defense Contract Audit Agency (DCAA), the Governmental organization most responsible for assessing the reasonableness of contractor compensation levels, has issued very specific guidance for assessing reasonableness. The guidance differs depending on whether a contractor is considered a "major" or a non-major", certain risk factors, and the type of review needed/requested. But remember, this is only guidance and auditors are required to adjust the scopes of their reviews based on identified risk factors. Some auditors get very "creative" in applying the guidance. Our goal here is to provide a basic understanding of the written guidance to enable you to be prepared when an auditor makes assertions about your compensation practices. DCAA employs different audit procedures for major and non-major contractors. A major contractor is one with $100 million or more of auditable dollars per year. Auditable dollars are not the same as contract awards. Auditable dollars relate to costs incurred during the year. Auditable dollars come from flexibly priced contracts. 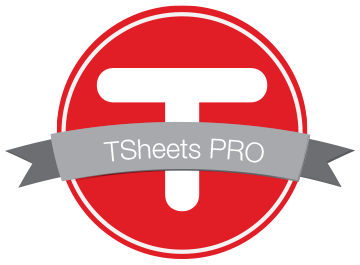 Flexibly priced contracts are just about everything other than firm-fixed price. The most common flexibly priced contracts include CPFF, CPIF, FPI, and T&M contracts. Contractors with less than $100 million of auditable contract dollars are considered non-major. When the auditor has performed these procedures and determined that the contractor's system cannot be relied upon to demonstrate reasonable levels of compensation and has also documented the potential for unreasonable levels of compensation, the auditor will apply their own tests of reasonableness. At the same time, the auditor will also issue an inadequate opinion on the compensation system and in extreme cases, disallow some compensation costs. Relatively few contractors meet the criteria for a "major" contractor. For non-major contractors, the "risks" associated with unreasonable compensation to the Government is considerably less and system expectations are correspondingly less. For example, there is no requirement for a formal compensation system - that would not be cost-effective nor would the lack of a comprehensive system impose undue risk to the Government. However, non-major contractors still have an affirmative duty to ensure that compensation costs charged to Government contracts meets the "reasonableness" criteria of FAR 31.205-6. Tomorrow we will look at ways that small contractors can demonstrate reasonableness. We do not have scientific evidence to support it, but it seems to us that contractors are being challenged to demonstrate the reasonableness of their employee compensation levels with increased frequency. If you are being challenged, the first thing you need to do is take a look at how FAR defines reasonableness in compensation. FAR 31.205-6(b) distinguishes between compensation pursuant to labor-management agreements and compensation not covered by labor-management agreements. For compensation pursuant to labor-management agreements, provided everything is done on the up-and-up, there is a presumption of reasonableness. The only exception is when it appears that the agreement is discriminatory against the Government. For compensation not covered by labor-management agreements, reasonableness is a little more complicated to demonstrate. There are two reasonableness criteria for compensation. First, compensation for each employee or job class of employees must be reasonable for the work performed. This standard has been successfully used by the Government to challenge situations where employees were being compensated for performing little or now work. A notable case involved a small company who's owner placed his entire family on the payroll with no evidence that they were performing any work at all. Obviously, the only way to determine whether your compensation practices comport to those of other firms of the same size, in the same industry, in the same geographic area, engaged in similar work under comparable circumstances, is to find out the compensation practices of those "other" firms. There are commercial benchmark surveys available for that purpose but they tend to be expensive and not cost-effective for small firms. Tomorrow we will take a look at how the Government assesses reasonableness. On Thursday, we will offer some guidance on how to demonstrate compensation reasonableness without spending unreasonable time and money. The CAC (Common Access Card) is the DoD term for a Personal Identity Verification (PIV) card. CACs are issued to Government and contractor personnel in order to gain access to Federal facilities, including Military Bases. In October 2008, the DoD-IG issued an audit report finding that Government controls over contractor CACs were very weak. The most prevalent finding was that CACs were not adequately accounted for after contract performance - there are thousands of unaccounted-for CACs floating around. upon contract completion or termination. This new requirement does not seem too onerous. Government contractors should be doing this anyway and most Government contractors probably have some form of procedure for collecting and returning unused CACs already. However, under the new regulation, the contracting officer now has the authority to delay final payment under a contract if the contractor fails to comply with these new requirements. Although not stated, the "delay period" probably extends until contractors are able to account for all CACs that have been issued to the company. This information has been updated here. The FAR Cost Principles Guide has been updated through FAC 2005-41 (April 2010) and is available for download here. This guide keeps track of all changes to cost principles since the FAR was first published in 1984. If there is ever a dispute over the allowability of costs under your contract(s), this is a great resource for determining the specific regulations in effect at the time of contract award. Some FAR cost principles have not changed since 1984 (bad debt expense). Other principles have changed many times. For example, the Compensation cost principle which covers the allowability of compensation costs has changed 30 times. That averages to more than once a year. The determination as to whether a Government contract is CAS-covered (Cost Accounting Standards) is pretty straight-forward. Today we will take a brief look at the requirements for the various levels of CAS coverage. The first level is full exemption. Small businesses are exempt from CAS. So are negotiated contracts under $650 thousand and negotiated contracts under $7.5 million if the contractor is not performing any other CAS-covered contracts. Contract awards based on adequate price competition, commercial prices, or prices set by law or regulation are also exempt. There are a few other obscure exemptions available. If a contract does not meet one of the foregoing exemptions, the next determination is whether CAS coverage is full-or modified. The threshold here is $50 million. Contracts in excess of $50 million are automatically covered. Additionally, contracts under $50 million (but more than $650 thousand) are fully covered if, the contractor, in its preceding fiscal year, received more than $50 million in CAS covered awards. Under modified coverage, contractors are subject to CAS 401, 402, 405, and 406. Under full coverage, contractors are subject to all 19 CAS standards. That was.. In yesterday's post, we described how Government auditors are to be alert for indications of fraud, waste, abuse, or other irregular activity and how, as part of every audit, they are to review a listing of fraud indicators to familiarize themselves with some of the risk areas associated with the particular review being performed. Once "potential irregular conduct" (that's the Government's terminology, not ours) is identified, the auditor makes a referral to the investigative agency of the department that awarded the contract. For DoD contracts, this is usually the Defense Criminal Investigative Service (DCIS). The referral is made using a DCAA Form 2000. DCAA does not publicize its number of referrals. In recent testimony before the Commission on Wartime Contracting, the new DCAA Director provided the following list showing just the referrals related to contracts in Iraq and Afghanistan since April 2009. Extrapolating from those numbers, it looks like DCAA made at least 126 referrals in 2009. Of course we don't have any further details on the nature of the irregular conduct but the descriptions of the irregular conduct is somewhat informative. If you have trouble viewing this chart, you can download a .pdf copy here. DCAA is not the only organization reporting suspected irregular conduct by contractors. The Defense Criminal Investigative Service reported that it had worked on 975 active cases of procurement related fraud in 2009. Some of those undoubtedly came from contractor employees calling the Fraud Hotline. To view a DCAA Form 2000, go here. Every time DCAA performs an audit, it is required, as a matter of policy and adherence to GAGAS (Generally Accepted Government Auditing Standards) to review fraud risk indicators specific to the type of audit being performed. The primary source for these fraud risk indicators is the DoD-IG's "Handbook of Fraud Indicators for Contract Auditors". This 47 page manual was last updated in 1993 and can be downloaded here. Auditors are not responsible for proving fraud. The responsibility for proving fraud rests with an investigative service like DCIS, Army CID, NCIS, or AFOSI). However, finding and reporting fraud indicators are an auditor's responsibility. The DoD-IG (Inspector General) states that the auditor should "think fraud" when performing a review or an audit. Sudden, significant shifts in charging. Decrease in charges to projects/contracts in overrun or near ceilings. A disproportionate percentage of employees charging indirect. Large number of employees reclassified from direct to indirect or vice versa. Same employees constantly reclassified from direct to indirect or vice versa. Weak internal controls over labor charging, such as employee time cards signed in advance, employee time cards filled in by the supervisor, time cards filled in pencil, or time cards filled in at the end of the pay period. Actual hours and dollars consistently at or near budgeted amounts. Use of adjusting journal entries to shift costs between contracts, IR&D, B&P, commercial work. Significant increases or decreases in charging to sensitive accounts. Employee’s time charged differently than associated travel costs. Note the 7th bullet concerning weak internal controls over labor charging. Many Government contractors fail to institute strong internal controls over timekeeping. If you're one of those, you do so at your own peril. DoD and NASA have a program that allows contractors with adequate billing systems (and related internal controls) to submit interim public vouchers directly to Government paying offices (often called the "direct billing" program). Contractors on the direct billing program can shave a week or more off the time it takes to get paid. The contract auditor (usually DCAA) makes the call as to whether a contractor has an adequate billing system and can qualifiy for the program. As a matter of policy, DCAA encourages the maximum contractor participation in this program (see CAM 6-1007). DCAA has a two-pronged review process; one for contractors with more than $90 million in annual reimbursements under cost-type contracts (referred to as a "major" contractor) and the other for contractors with less than $90 million (non-major contractor). Most Government contractors fall under the $90 million threshold so that is the focus of this post. DCAA has established seven criteria that a non-major contractor must meet in order to have its billing system deemed adequate and thereby qualify for the direct bill program. Contractors must maintain an adequate accounting system (to learn about adequate accounting systems, sign up for our 2-day course on Business Systems for Government Contractors to be held on June 22-23, 2010 in Seattle). At a minimum, billed costs must be reconcilable to the cost accounting records. Contractors must establish provisional billing rates. FAR 42.704(b) requires the contracting officer or auditor to establish billing rates based on information resulting from recent audits, previous audits or experience, or similar reliable data or experience of other contracting activities. Maintain cumulative allowable costs by contract to support the preparation of interim and final vouchers. Cumulative costs are necessary to assure that the cumulative amount billed does not exceed the total estimated ceiling costs on the contract and/or the current contract maximum frunding levels. Adjust billing rates to reflect acutal year-end allowable costs. Brief contracts to assure that billings accurately reflect special cost limitations contained in contracts. 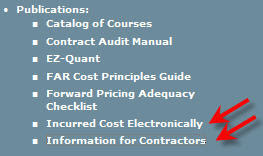 (see Schedule S in DCAA's ICE (electronic version of the Incurred Cost Model) for a pro-forma contract brief). Submit final year-end indirect incurred cost proposals within six months after year-end. Submit final vouchers for physically completef cost-type contracts with 120 days after settlement of final indirect cost rates. These criteria are not difficult to meet. Contractors with cost-reimbursable contracts should already be doing them anyway and indeed, most contractors are. If you are ready, write a letter to your cognizant contract auditor requesting approval for direct bill authority. If you need some help bringing your billing system into compliance, give us a call. FAR Clause 52.215-19, Notification of Ownership Changes, is included in most contracts with the Government. It is a required clause for both solicitations and contracts when cost or pricing data is required or whenever any preaward or post-award cost determination will be subject to the FAR Part 31 Cost Principles (for example, cost-reimbursable contracts). The contract provision requires contractors to notify the contracting officer within 30 days whenever it becomes aware that a change in its ownership has occurred, or is certain to occur, that could result in changes in the valuation of its capitalized assets in the accounting records. This notification must be made in writing. The clause also requires written notification within 30 days whenever changes to asset valuations or any other cost changes have occurred as a result of a change in ownership. The primary purpose for this notification is to ensure that increased costs as a result of asset write-ups are not passed on to Government contracts. 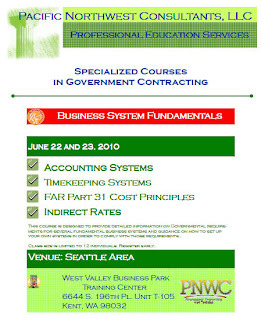 FAR 31.205-52 limits what a contractor can pass on as a result of business combinations. retain and continue to maintain depreciation and amortization schedules based on the asset records maintained before each ownership change. The key point to remember here is that the provision does not apply to every change in ownership. It applies only to situations that result in changes to the valuation of capitalized assets. However, don't wait around for the auditors to "find" it. There are potential consequences including penalties for unallowable costs and violations of the Truth in Negotiations Act. The FAR Councils are asking for public comment on how best to provide public access to contracts, amendments, task orders, etc, without compromising contractors' proprietary and confidential commercial or financial information. The FAR Councils are anticipating that there will soon be a requirement to do just that, based on the Administration's "Transparency and Open Government" memorandum from January 21, 2009, which calls for increased transparency in order to promote efficiency in Government contracting. The Administration wants to open up the acquisition process and improve Federal spending accountability. disclosing protected information belonging to the Government or contractors. The Councils are particularly interested in suggestions that will facilitate uniform, consistent processing methods that are fair and equitable as well as cost effective and efficient, while at the same time simplifying access to acquisitions once posted. While restrictions on disclosing proprietary contractor information is covered by the Freedom of Information Act (FOIA), it may not be practical to apply FOIA procedures before posting in every case. The Councils are looking into methods for identifying the types of information that should not be posted or released to the public, as well as means for electronic processing and posting, and development of provision or clause requirements for successful offerors to provide a redacted copy of the contract. The Councils are also requesting suggestions for how best to protect the types of information through redacting, locating all such information in a standard place in the contract, or other possible methods to be considered. As you think about your own Government contracts, consider whether they contain information that you consider confidential and proprietary. Is there any financial or technical information that you would not want your competitors to have access to? How about your employees (service contractors, take note)? Does your line item pricing past a "sanity test"? Remember the coffee pot and toilet seat scandals a few years ago? If you are interested in responding, the instructions for doing so are located in this Advanced Notice of Proposed Rule Making. Public comments are due by July 12, 2010. Click here to download the brochure, registration forms, and other information. The CAS Board yesterday published a proposed rule for harmonizing Cost Accounting Standards 412 and 413 with the Pension Protection Act of 2006 (PPA). Its a long and detailed read. If your company has a defined benefit pension plan, you should study it and provide comments by the July 9, 2010 deadline for public comments. Even if your company is not subject to CAS, the revised Standards may impact the way in which you allocate pension costs to Government contracts since FAR 31.205-6 pretty much sends you back to CAS for determining allowable pension plan contributions. There are about eleven features in this proposed rule - some merely affirming requirements that were already part of CAS. One significant change is the period used to amoritize actuarial gains and losses. Currently, CAS requires those losses be amoritized over a 15 year period. Under the proposed rule, the amortization period drops to 10 years (the PPA, by the way, specifies a 7 year amortization period). There are also some specific provisions that apply when contractors fund more than the minimum contribution and less than the minimum contribution. Both events should be "neutral" with regard to determining actuarial gains and losses. To read the entire proposal, go here. David Iisenberg writes about issues related to contracting for inherently Governmental services today over at the Huffington Post. Mr. Isenberg focuses on a recent report from the DoD-IG on DCMA's (Defense Contract Management Agency) activities in Afghanistan and notes that the Agency is ill-equipped to administer some $1.3 trillion in contracts. In fact, some of those contracts require contractors themselves to self-perform some of the oversight functions normally performed by the Government. Makes one wonder who is guarding the hen-house. Read the entire article here. If you haven't heard about the DCAA Form 1, you probably haven't had very many cost type contracts or you haven't been in the Government contracting business for very long. DCAA auditors use the DCAA Form 1 to suspend or disapprove costs on cost-reimbursable contracts. Suspend: Auditors use the form to suspend unsupported direct or indirect costs until the required data are received and a determination can be made as to the allowability of the costs in question. Disapprove: Auditors use the form to disapprove direct or indirect costs for which audit action is complete, the costs are considered unallowable, and the contractor does not concur. For disapproved costs, the procedures for issuing a Form 1 varies based on wither the costs are audit determined or ACO negotiated. Suspended or disapproved costs are withheld from future billings. If the costs were charged direct to a contract, the unsupported costs will be withheld from a future billing.If the suspended or disapproved costs are indirect, they will be withheld from all contracts to which indirect costs were allocated, most likely through an adjustment to billing rates. Auditors normally allow contractors "sufficient time" to provide supporting data for any claimed and/or billed costs. "Sufficient time" is not defined and carries a level of subjectivity. In responding to auditor requests for supporting data, there are a couple of things to be aware of. If a contractor has a systemic problem with readily supporting claimed costs, the auditors may well view this as an accounting system deficiency and reflect the deficiency in its internal control assessment. Poor internal controls will lead to increased audit oversight and could potentially affect the award of future contracts. When auditors experience unreasonable delays in obtaining supporting data and significant claimed costs remain unsupported by the contractor, they are guided to consider whether to report an "Access to Records" deficiency. This escalates the issued outside the immediate DCAA office, puts the contractor on a "list" and could (but not likely) lead to a subpoena. For contractors approved for direct billing, processing the DCAA Form 1 may require the contractor's direct billing authority to be temporarily rescinded. This would add a fews days, perhaps a week or more, in getting paid. The disruption of cash flow can hurt. Contractors who feel they are not being given adequate opportunity to respond to an auditor request, can and probably should present their case to thew contracting officer. For calendar year contractors with flexibly priced contracts, the deadline for submitting the annual incurred cost submission is June 30th. If you need more time, submit a written request to your ACO and the Defense Contract Audit Agency. If you haven't prepared one before, the Government is rather particular on the format and the content. DCAA has a couple of good resources to help you out - both available on their public website. Go to http://www.dcaa.mil/. On the left hand pane toward the bottom, there are links to the ICE Model and the Information for Contractors Pamplhet. Chapter 6 of the Information for Contractors contains guidance for preparing the Incurred Cost Claim. The "Incurred Cost Electronically" is an Excel-based (but not user friendly) template for preparing your claim. We haven't heard much news about Cost Accounting Standards lately so that got us to wondering what the CAS Board has been up to. Have they been actively working, promulgating new standards, issuing interpretations on existing standards, or is the board suffering from trypanosomiasis? To find out, we pulled the minutes of all four of the Board's 2009 meetings to try and discern what might be forthcoming. Well, everyone can rest easy. There's nothing new coming down the pike. The Board's meetings have consisted primarily of the staff updating the Board on a couple of projects that have been rattling around for a long time; harmonizing the Pension Standards (CAS 412 and 413) with the Pension Protection Act of 2006, and trying to figure out whether to exempt contracts performed outside the US from CAS. That's it! Companies that are still reimbursing employees based on actual costs, might want to consider whether it is more cost effective to switch to a lump sum basis. One contractor with a significant number of relocations because of its overseas work, believes it has saved money (and therefore saved the Government some money) by switching to the lump sum reimbursement. The lump-sum method significantly reduces the administrative effort required to review and process the claims. Record-keeping is minimized. The time it takes to support external audits of contract costs is reduced. And, here's a dirty little secret, it keeps employees from padding their claims. There is a catch however to implementing a lump-sum reimbursement policy. FAR states that reimbursement on a lump-sum basis may be allowed when adequately supported by data on the individual elements (e.g., transportation, lodging, and meals) comprising the build-up of the lump-sum amount to be paid based on the circumstances of the particular employee’s relocation. adequate support should include detailed calculations of the individual cost elements (e.g., airfare, car rental, lodging, and meals) that reflect specific factors, such as the number of travelers involved, travel destination, and the estimated number of travel days required based on the particular employee’s circumstances. For example, the estimated number of days required for house hunting trips may vary depending on whether the employee is single or married with dependent children, buying a home or renting an apartment, and the availability of housing at the new location. The choice to reimburse on lump-sum basis versus an actual cost basis comes down to the number of relocations that happen in your organization. Where sporadic, its probably more cost effective to use the actual cost method. Where frequent, regular, and recurring, it might be more cost effective to establish a lump-sum policy. Contractors who adopt a lump-sum reimbursement of these relocation costs should establish policies and procedures that identify the group/class of employees eligible for lump-sum reimbursements and provide guidelines or criteria for determining the estimated lump-sum amount. Audit evaluations of lump-sum provisions will include a review of the contractor’s policies and procedures and the documentation that supports the calculation of the estimated lump-sum amount for the particular employee. The auditor will also ensure that the contractor’s practice is consistently followed and that lump-sum payments reflect the individual circumstances of the relocated employees. Finally, the new lump-sum reimbursement provision envisions that the lump-sum amount will be established before the employee actually incurs the costs and it prohibits subsequent adjustments to reflect actual costs incurred by the employee. The feature article in the March 2010 issue of Government Contract Costs, Pricing & Accounting Report is entitled "GAO vs DCAA - And the Winner is?....Contractors!". It was written by Richard Loeb, a long-time employee of the CAS Board (Cost Accounting Standards Board). As Loeb describes the on-going internecine feud between DCAA and GAO (and Congress), its apparent that his sympathies lie with DCAA. The problem, as Loeb see it, is that the winner from this great slaughter are not the taxpayers but those Government contractors who will monitarily benefit from less audit oversight. We have provided a link to a copy of this article and we encourage you to read it. Please note, it is used with permission of Thomson Reuters and further use without the permission of West is prohibited. The results of the GAO reports and subsequent Senate hearings on DCAA, Loeb writes, is that DCAA spends more time on low-risk audits and spends more time on documenting auditor work and management review. We see the manifestations of this increased effort all the time. It takes significantly longer now for DCAA to issue an audit report. Reports that were routinely issued in 30 days, are now taking much longer. But, as Loeb writes, the increased effort doesn't necessarily mean that the audits are better, that risks are more thoughtfully considered, or even that the Government will achieve lower prices or cost savings. One thing for certain though, the procurement activities that rely on those audit reports to award and administer contracts are becoming increasingly frustrated. The question that everyone shoud be asking is which audits are not getting done? If DCAA has limited resources but the same level of audit responsibilities, something is not getting done. If the Agency is taking longer to perform its audits, other audits are not being performed. Is no one concerned about what is not being performed?